Does air pollution and air quality affect your decisions to walk, cycle or drive in the city? REPLICATE has been exploring ways to tackle the issue. Do you worry about air pollution in your busy street? Does air quality affect your day-to-day plans for when and where to walk, cycle or drive? REPLICATE has been working with community organisations, cyclists, taxi drivers and a school to explore how new technologies could help to monitor the problem of poor air quality. Through a series of creative workshops and practical activities, citizens have built and tested new sensors to help them understand the scale of the problem and take steps to tackle it in their community. Before the REPLICATE Project started, residents of Ashley, Easton and Lawrence Hill got together with artists, technologists and the team from Knowle West Media Centre (KWMC) to explore how technology could help tackle issues identified by the community – see damp homes. Air quality emerged as an important topic and, as part of the REPLICATE Project, KWMC worked with local people and project partners to explore air quality further. 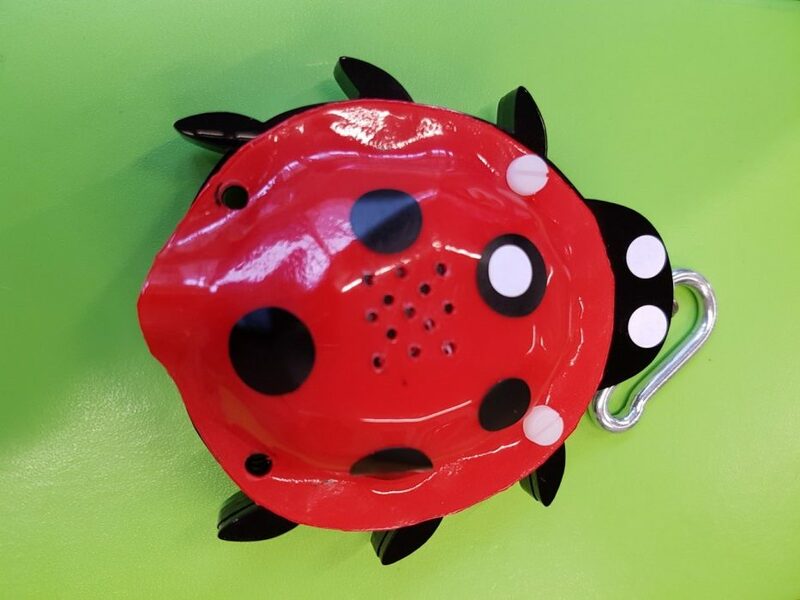 Workshops took place across Ashley, Easton and Lawrence Hill to develop and build air quality sensors, some of which are shaped like ladybirds! These ladybirds have been trialled by pupils from a school, cyclists and taxi drivers to map the air quality on their regular routes. Other community organisations have been gathering air quality data from sensor installed on their buildings. The Air Quality pilot followed the steps of The Bristol Approach – a way of working developed by KWMC that brings different people together to create projects that have local needs at their heart. For more information e-mail bristolapproach@kwmc.org.uk or call 0117 903 0444. What’s been happening in the making workshops? Since November 2017, groups of cyclists, taxi drivers and school children have been sharing their views about air pollution, how they get around the city and what they want to know about air quality. These groups have worked with KWMC to come up with ways to measure air quality using sensors and to design and make carry cases for them. How does the air quality sensor work? The air quality sensor is a ‘kit’, containing ozone and air pollutant sensors. You can activate the kit from a smartphone app using Bluetooth. You record activity, such as a journey you take or an observation you made whilst carrying or wearing the device. You can also record behavioural data such as changes to your chosen route. The data collected by the kit is aggregated (combined with other users’ data), anonymised then safely stored. Later, the information collected is interpreted into a ‘open data’ set or visual representation for public viewing. Is the sensor heavy to carry? No, the kit is very small and light. If I wear the sensor or carry it with me, will you be able to identify me by the route I take? No. You can choose which journeys are ‘sensed’ and set when a journey begins and ends. The data collected by the sensor will be anonymised, so data about individuals won’t be known. It will then be turned into an ‘open data’ set or used to make a visual representation for public viewing. By sharing the anonymised data publicly, we hope to better understand the scale of the problem and come up with solutions that could work for groups across the area.